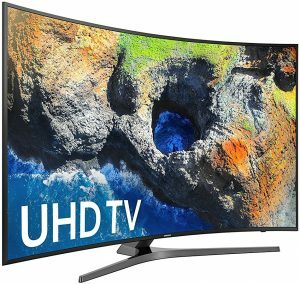 Samsung UN49MU7500 vs UN49MU7000 : What’s the Differences of 49-Inch MU7500 and MU7000? Posted on Wednesday, March 29th, 2017. - Filed under 49-Inch. Two of the choices that you should consider for your next 49-Inch Smart 4K UHD TV are Samsung UN49MU7500 (UN49MU7500FXZA) and UN49MU7000 (UN49MU7000FXZA) from Samsung’s 2017 TV lineup. They are both introduced as the top model for Samsung’s 2017 standard 4K UHD TVs. Samsung UN49MU7500 and UN49MU7000 are two near models so you can find there are several similarities between these two models. What’s their difference? That’s the questions that We will answer on this article to help you decide which of them is the one that you should choose. Let’s take a look at the specs of Samsung UN49MU7500 and UN49MU7000 before We talk more about their differences. The specs of those two TVs can be found on the table below. From the comparison table above, We can find that there’re few differences between Samsung UN49MU7500 and UN49MU7000. Let’s discuss more about their differences. The Key difference of Samsung UN49MU7500 and UN49MU7000 comes from their panel design. 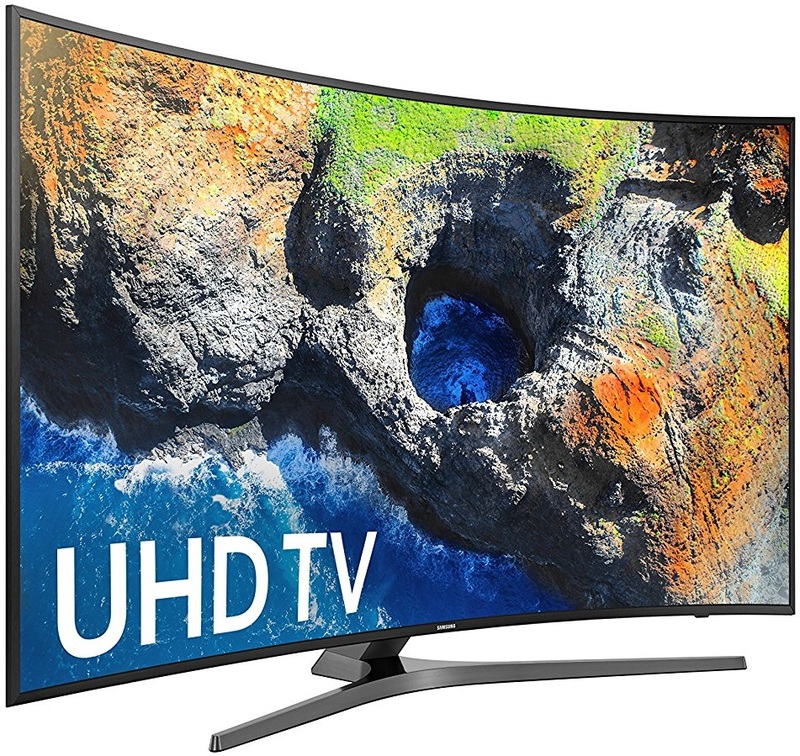 Samsung UN49MU7500 comes with curved panel design, while Samsung UN49MU7000 comes with flat panel design. With curved panel design, you can enjoy panoramic watching experience in Samsung UN49MU7500. While you can only enjoy conventional watching experience in Samsung UN49MU7000 that comes with flat panel design. Samsung UN49MU7500 and UN49MU7000 also come with different depth enhancing technology. With curved panel design, Samsung UN49MU7500 comes with auto depth enhancer that designed to be used for curved panel. While Samsung UN49MU7000 comes with contrast enhancer that designed to be used for flat panel. While the purpose of auto depth enhancer and contrast enhancer are similar. They works as depth enhancing technology that deliver greater sense of depth across the LED screen. Samsung UN49MU7500 comes as the higher model, So It’s also offered at the higher price than Samsung UN49MU7000. How much is their price difference? Price difference varies from time to time as well as from one retailer to another, so it’s a good idea for you to check today’s price of Sony UN49MU7500 and UN49MU7000 to know their latest price difference. 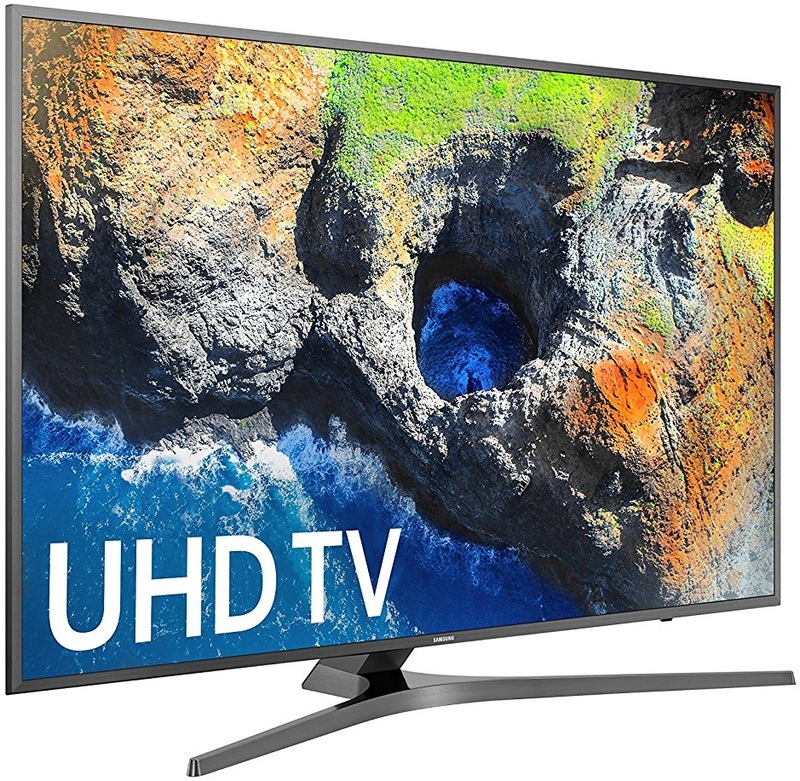 Which Samsung’s 49-Inch 4K UHD TV to Choose? Related Post To Samsung UN49MU7500 vs UN49MU7000 : What’s the Differences of 49-Inch MU7500 and MU7000? Sony XBR49X800D vs XBR49X700D : How Sony’s 49-Inch Smart 4K UHD TV Compared? Sony is offering XBR49X800D and XBR49X700D as two new models for 49-Inch Smart 4K UHD TV in their 2016 TV lineup. As two Sony’s 49-Inch TV models, you can find that there are a number of similarities between Sony..
Samsung UN49MU6500 vs UN49KU6500 : How is the Comparison between the new UN49MU6500 with the Old UN49KU6500? Samsung UN49MU6500 (UN49MU6500FXZA) is positioned as the successor of Samsung UN49KU6500 (UN49KU6500FXZA). As the successor-predecessor model, We can find that there are several similarities and few differences between Samsung UN49MU6500 and UN49KU6500. Which of them is the..
TCL 49S517 vs 49S405 : How Good is TCL’s 49-Inch 4-Series Compared to 5-Series? TCL introduced TCL’s 5-Series 4K LED TV in 2018. TCL 49S517 is the 49-Inch screen size option of TCL 5-Series. It’s positioned higher than previous year’s 4-Series with TCL 49S405 as its 49-Inch screen size option. How..